Last August I launched 100 Other Halves, a dialogue between women, of all ages, discussing the impact of their father’s love or the lack thereof. In four months, I was able to exchange life stories through heart-to-hearts with 100 women across the nation. During this time, many people asked if I would expand the project to men. Two weeks ago, I launched The Other Half, a platform with the same mission, except my goal is to interview 50 men. I’ve been moved by each man’s level of self-awareness and ability to articulate how his experiences with his father impacted his manhood. 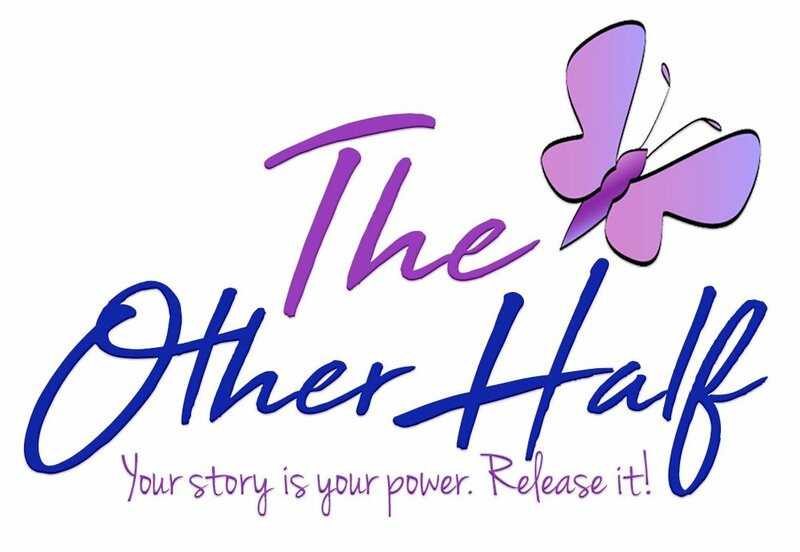 To celebrate my 25th interview, I will share 3 gems that I’ve learned from the men of The Other Half. One of my interview questions are: how did your experiences with your father impact your romantic relationships today? Through multiple responses, I've learned that when men feel abandoned by their fathers it can result in an inability to trust that people are genuinely going to remain in their lives. In relationships, they often worry or convince themselves that their partner will eventually leave them as well. They either try to avoid growing too attached to potential partners or try to leave the relationship before their partner does. Another common result of a non-existent father-son bond is that men find themselves using women to fill a void of emptiness and to define their manhood. This is a common theme that I realized when I interviewed the women as well. Due to their father’s absence, many men feel a sense of emptiness, that they sometimes don’t know exists. They date multiple women to feel the void, however, they aren't satisfied or fulfilled. Additionally since they did not have a father in the home to assist them in defining themselves and their manhood, they date multiple women. They believed that having several women, especially sexually, defined and solidified their manhood. As a woman that has dated men since my teenage years, these conversations with the men of The Other Half caused me to reflect on some of my previous relationships. There have been many instances where I’ve been pushed away, disrespected, or hurt by a lover. In each of these cases, I often thought that their actions were a direct reflection of my self-worth. I now know that many of those young men were fighting their own war. Their actions were a result of their own internal battles and not a reflection of my self-worth. Moving forward, I will do my best not to take my romantic partner's actions personal or as a hit to my self-esteem. Thank you Base God for that lesson. When dating, ask your partner about his/her childhood and their relationship with their parents. Since I’ve always been passionate about the impact and influence of parent-child relationships, it is not uncommon for me to ask potential partners about their childhood. I knew at a young age that our upbringing and experiences with each of our parents had a psychological affect on who we ultimately became. I’m also an intrusive Scorpio so asking personal questions and initiating uncomfortable conversations are kind of my thang. A few of the male interviewees confessed that women that they date don’t ask about their childhood or their relationship with their parents. This is very understandable because based on a poll that I conducted on Instagram, many people feel that the topic can be too personal to initiate during the early dating stages. However, the men shared that they would be interested in having that conversation with a potential partner with hopes that their partner would understand them better, and vice versa. Although a few of them admitted that they are guilty of not initiating that conversation themselves, they’d appreciate if their future relationships has a level of comfortability that invites that conversation. I’d also like to add that its imperative to know your potential partner’s previous life experiences. I do not use the information to evaluate whether I’ll move forward with an individual or not. I simply need to know how they are actively working to grow, if healing is necessary. Since I am on my own personal journey of self-realization and self-awareness, it is a requirement that my potential partner is investing into himself as well. Children remember everything, especially how you made them feel. I once spoke on a panel and a woman asked, "How early should I start to speak with my daughter about her feelings in relation to the absence of her father?" I responded, "Obviously every child is different and as a parent you are aware of your child's emotional maturity. Based on that knowledge, I'd suggest having that conversation with your child as soon as possible so that the both of you are aware of his/her feelings. But most importantly, so that at an early age you two can learn how to cope and heal any pain or negative emotions that exist. Also, if you aren't confident or sure about initiating the conversation, don't be afraid to involve a child therapist." When interviewing both the men and women of The Other Half, I asked each individual to share their earliest memory of their father. Of the 125 people that I’ve interviewed, 100 of those individuals said that their earliest memory took place between the age of 1-3 years old. When the men and women shared the details, some would close their eyes and explain exactly what he wore, where they were, and what actions were taking place. Most notably, each of them remembered how their father made them feel in that moment, whether the emotion was positive or negative. That speaks volumes to me, as someone that interacts with children often. It has forced me to be conscious of the conversations and interactions that I have with children; I always want to ensure that I am making them feel loved. We were all kids once, and we can all recount both joyful and traumatizing experiences that we've had. Be sure to check in with youth, especially during chaos, so that they don't have to adopt unhealthy coping mechanisms. The Other Half is my purpose, my passion, and my greatest love. I am forever grateful and in debt to each of the men and women that allow me to hear their story and invade their truths. Thank you!